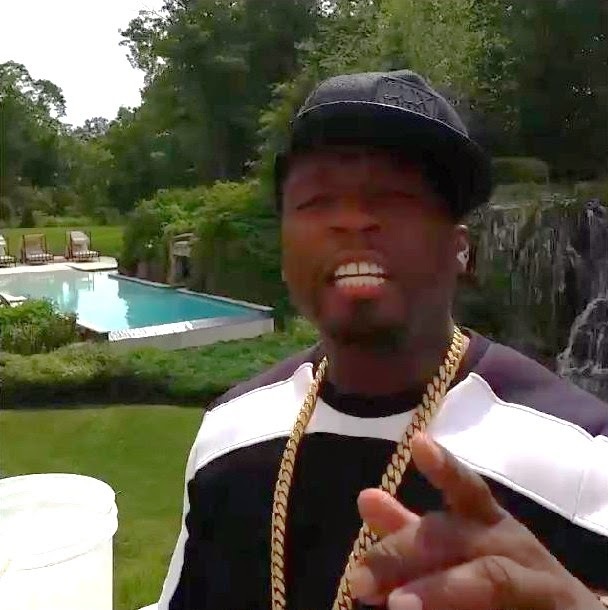 50 Cent brought us his own version of the ALS Ice Bucket Challenge on Thursday, and Floyd Mayweather Jr. probably isn’t going to appreciate it. Rather than dumping a bucket of ice water over his head, 50 has offered to donate $750,000 to the charitable organization of Mayweather’s choice if Floyd can read one page of a “Harry Potter” book without messing up. “Floyd will you except my ALS/ESL CHALLENGE: I will donate $750k to a charity of your choice, If you can read a full page out of a Harry Potter book out loud without starting and stopping or f—ing up. lmao,” he wrote on Instagram along with the video you see above. For those of you who are unfamiliar with their history, Mayweather and 50 Cent used to be best friends until they had a falling out. They have been cordial toward one another in the past, but 50 seems to be determined to get under Mayweather’s skin lately. The rapper was one of the people who called out Mayweather after Floyd shouted at T.I.’s wife on the red carpet at the BET Awards. It should be noted that the Ice Bucket Challenge is a social media movement that has helped raise money and awareness for ALS, which is also known as Lou Gherig’s Disease. If 50 is willing to pay Floyd $750,000 if Mayweather proves he can read, we’re hoping he at least donates some money to the ALS Foundation.